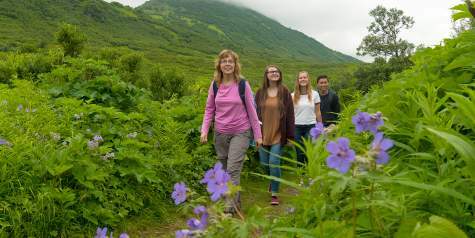 The Mat-Su Valley is a hiker&apos;s paradise, with thousands of miles of trails in seemingly every direction. The Mat-Su Valley spans 23,000 square miles, so if hiking in Alaska is your dream, you&apos;ve come to the right place. For individual trail maps, click here. One of the most picturesque places on Earth, Denali State Park, is one of the most popular places to hike. Denali State Park is located just south of the national park, and is home to numerous trails that get you into the backcountry. Kesugi Ridge is a very popular multi-day trek for hikers with lots of experience. 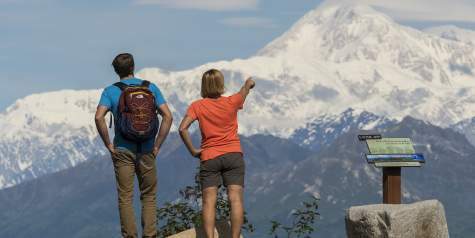 It has expansive views of Denali, Mount Hunter, Mount Foraker and the rest of the Alaska Range. For an easy hike with great views, try the loop around Kesugi Ken Campground near Mile 135 Parks Highway. 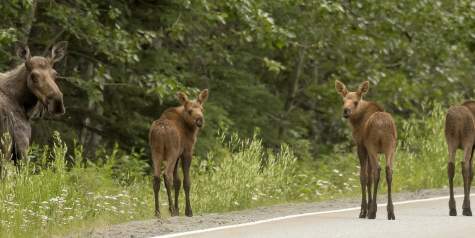 Talkeetna is south of Denali State Park and offers a multitude of trails of varying length. 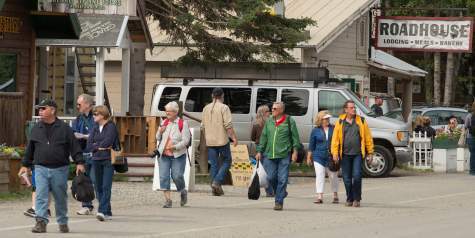 Talkeetna is also where people from around the world come to climb Denali. They fly from Talkeetna to base camp, starting a two-week ascent to the summit. On average, it about 50 percent of the climbers succeed in reaching the summit. To climb Denali, however, you must be a very experienced mountaineer. 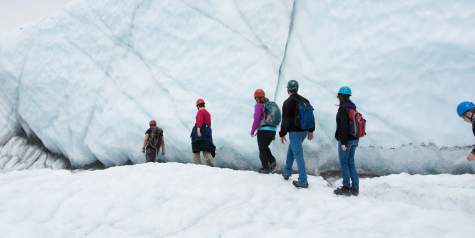 Casual hikers will find a unique adventure in hiking Matanuska Glacier. Located on the Glenn Highway, Matanuska Glacier is Alaska&apos;s largest road-accessible glacier. You can access the glacier on your own or go on a guided hike, which is recommended. Using crampons for traction, guides will take you across the timeless glacial ice for a hike you&apos;ll never forget. Another popular hike in the Palmer area is the Butte, which is a 900-foot formation that includes stairs to climb to the top. While a short hike, it is also a bit challenging due to the vertical rise. 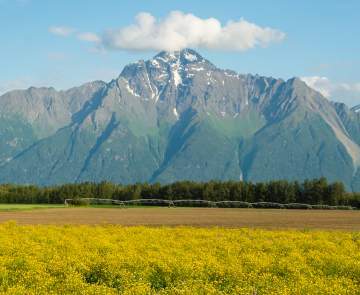 Once on top, however, you are treated to unbelievable views of the Matanuska Valley and the Chugach Mountains. 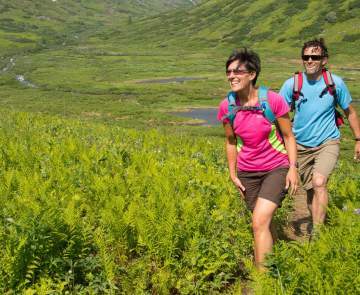 Hatcher Pass has numerous trails that are perfect for beginners and advanced hikers alike. 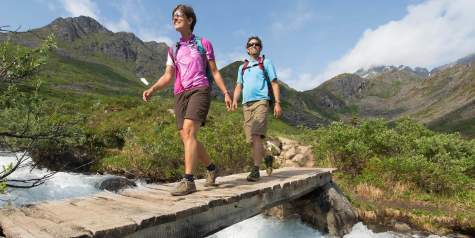 Gold Cord Trail, Gold Mint Trail and the Reed Lakes Trail are all great places for hikers. No matter where you head out, make sure you are "bear aware" and make noise. It&apos;s also a good idea to bring along sunscreen, extra water and bug repellent.